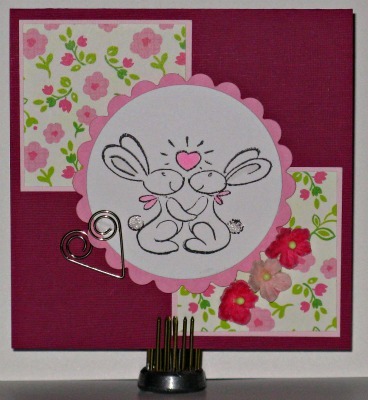 Another vision in pink......I'm in love with these bunnies. They are so cute. I had a great World Card Making Day. You'll be seeing my creations this week. I'm off to bed, since it's the CIBC Run for the Cure tomorrow and it's going to be a busy day for me. Thank you for joining in the fun and playing along with our challenge! Your interpretation of Julia's sketch is fantastic! So sweet! Your card is so adorable!! Super cute! I love your spin on the sketch! so sweet! Thanks for playing with us at TPS! A lovely pink creation! Just stopped over from the Link Up For Pink linky party to admire your card a little closer!